The GBT-WI GhostCord® cordless pad 20" x 30"and Fall Guard Monitor functions with absolutely no cords between the pad and the monitor! 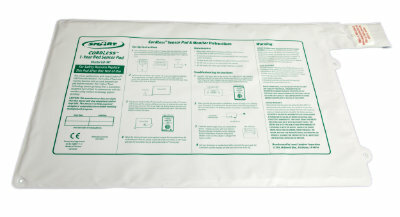 This bed pad can be placed underneath the patient on the bed. The cordless pad talks to GhostCord Wireless Monitor or EconomyCare+ Central Monitor using wireless technology with both an audible and visual alert. This item comes with the wireless Fall Guard Monitor TL-2100G, so it is ready to go! The monitor can be placed outside the patient's room so that it does not disturb the patient, but still alerts the caregiver. 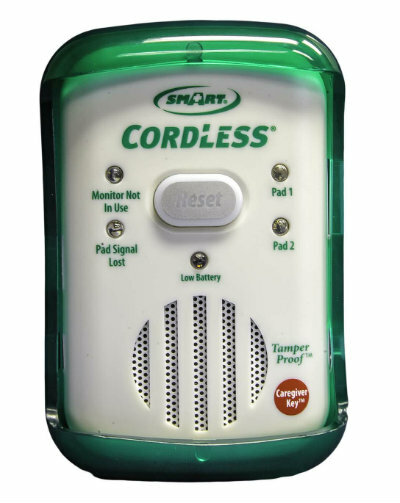 The 20" x 30" wireless pad, used with the cordless transmitter insert (included) and GhostCord® monitor, will trigger the fall alarm when weight is removed from the pad itself. IN STOCK - ORDERS SHIP WITHIN 24 HOURS MON-FRIDAY. Comes with Fall Guard Monitor - This is ready to use when you get it because it includes the monitor. Easy to Clean - Wipe down with anti-bacterial wipes.